Brussels tapestry panel depicting peasant dancers after David Teniers. 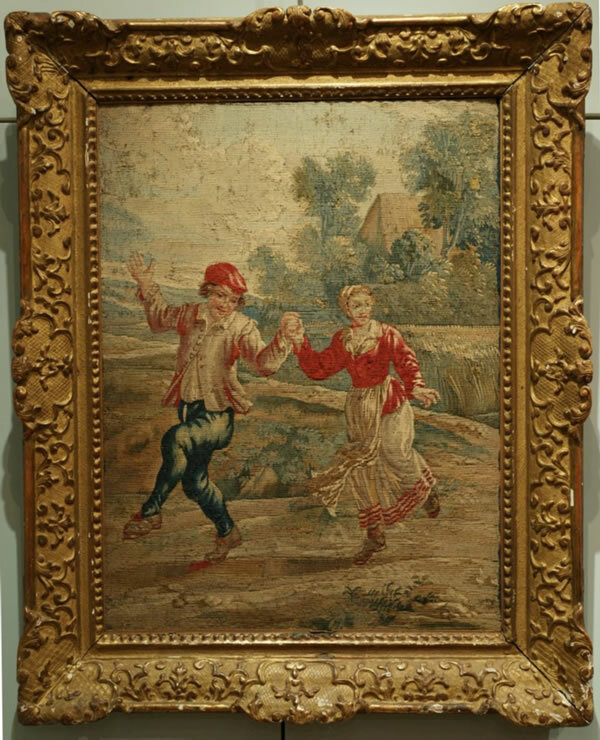 The framed panel, designed to mimic a panel painting, depicts a colorfully clad pair of dancing peasants in a landscape. Frame: Height - 33" Width - 26¾"
Sight: Height - 25" Width - 18¾"